The MoU with PLN is an outcome of the Government-to-Government cooperation on energy between Indonesia and Denmark. The strategic sector cooperation on energy, was initiated in 2016 between the Danish Energy Agency and relevant Indonesian authorities. Indonesia has set forth a very ambitious target of reducing the country's greenhouse gas emissions by 29 percent by 2030. In relation to this, the country is consulting Danish experiences within both renewable energy, energy efficiency and energy modelling. The new MoU with the state-owned Indonesian energy company, PLN focuses on challenges within future energy modelling in Indonesia. The agreement may pave the way for more renewable energy in Indonesia, and in turn a reduction in the country’s large consumption of coal. 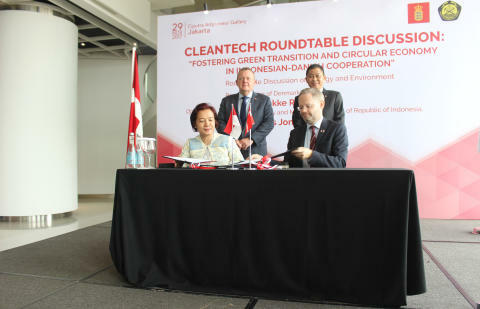 The MoU was signed during a large “Cleantech Seminar” in Jakarta, which was opened by the Danish Prime Minister, Lars Løkke Rasmussen and the Indonesian Minister for Energy and Mineral Resources, Ignasius Jonan. 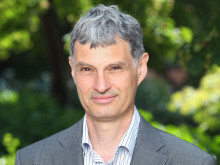 “The Danish Energy Agency’s cooperation with Indonesia is yet another example of a Danish contribution to the green transition in one of the large emerging economies that are facing big challenges, but which also has high ambitions within renewable energy, and in turn large potential for export of Danish technologies”, says the Director of the Danish Energy Agency, Morten Bæk. Read more about the cooperation with Indonesia.